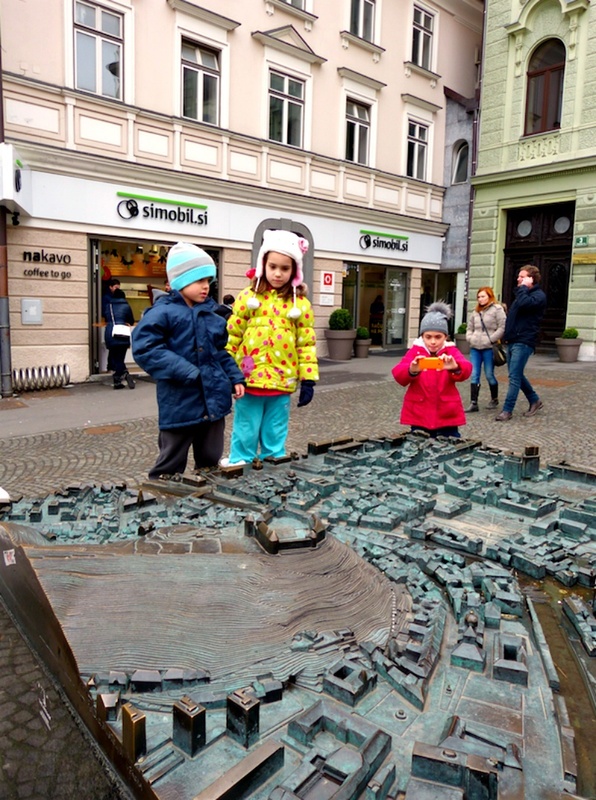 I recently returned from a weekend in Ljubljana with my three kids and I was wondering prior to the trip if it was a bit too crazy to do a city-break at sub-zero weather in winter with the littles ones. Luckily the answer turned out to be no. We came back tired, but happy (all that fresh air and exercise) and kids were asking in the plane when we’d be going back there for skiing in the mountains and hiking in the summer…and the answer is probably pretty soon. Ljubljana is culturally a very mixed city: because of it’s central location it has been part of the Roman empire, Austria and few other territories, and all those periods are visible in its cultural heritage and building styles. This heritage is easily observed by foot, as nowadays the old town centre is a designated pedestrian zone, which is refreshing from other large cities and also safer – especially for children. We did a walking tour with a guide from Visit Ljubljana. 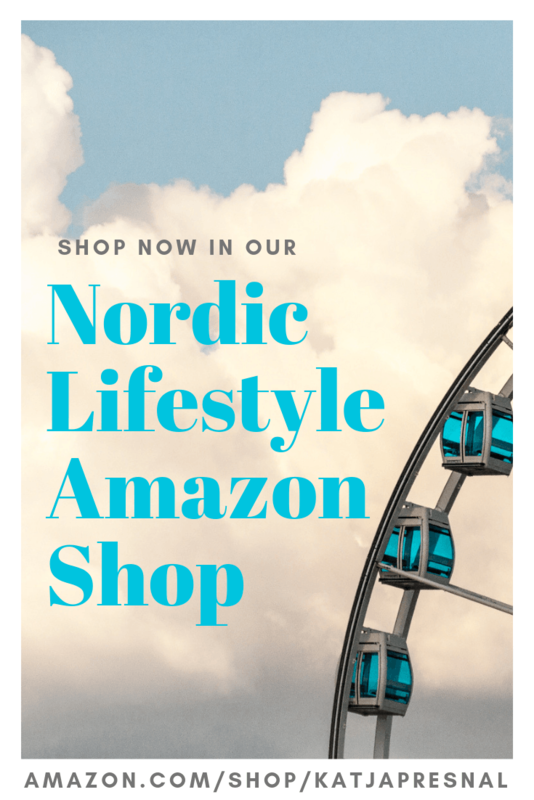 Here are the top things we enjoyed during our wintry break, and when we’ll return in summer time we’ll be adding the Zoo, Tivoli park, the botanical gardens, the science centre, the water park and more hiking to our agenda for sure. If you are planning to visit several sights in town it’s probably worth getting the Ljubljana Card, which gives you free access not only to most main attractions, but also to buses, wifi in city centre, city bikes and even to a free guided tour. The river has a very important place in the history of this town and it splits the town into two, and is therefore a perfect way to enjoy the beautiful architecture and rest your feet. The captain offers warm juice and biscuits and has blankets as well as the winter is rather chilly. Children also enjoy spotting ducks, geese and wild otters during the cruise. 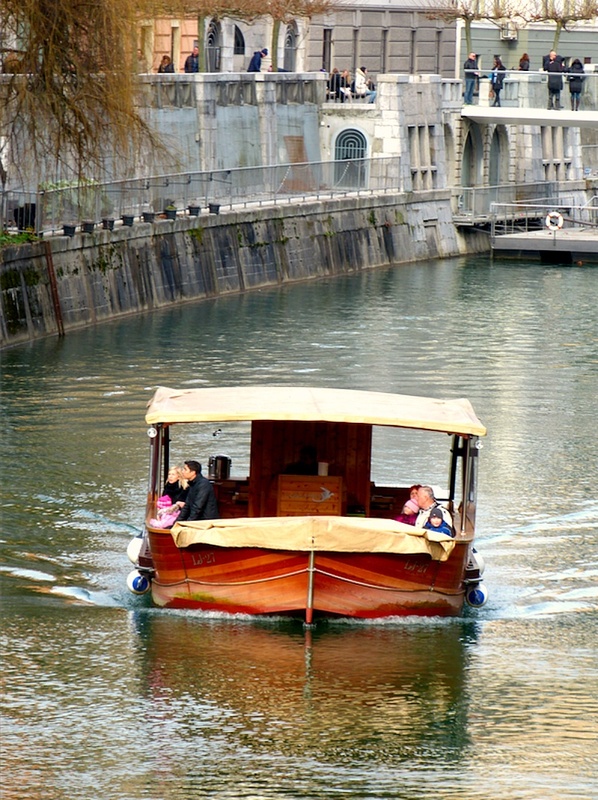 In summer time you can also join in a romantic evening cruise. 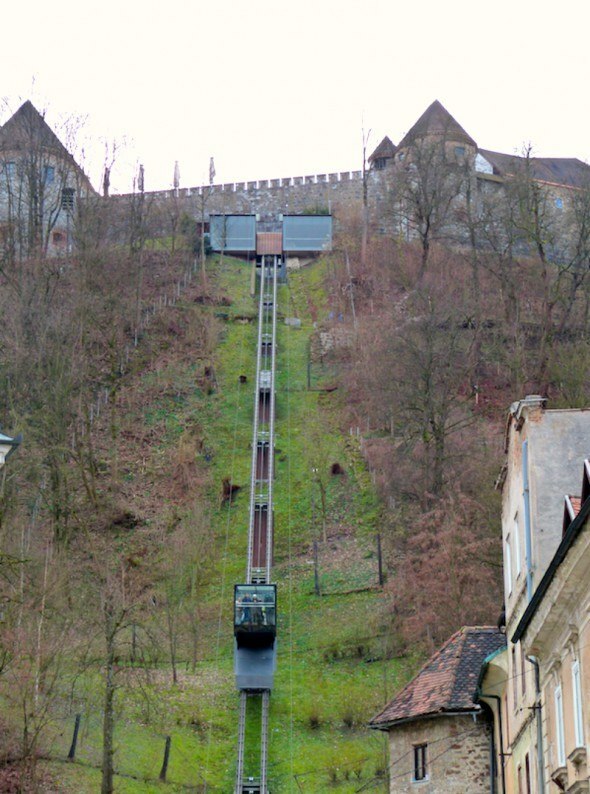 Kids love funiculars and castles. The rise in the funicular to the Ljubljana Castle will reveal breathtaking views over Ljubljana and the surrounding snow-capped mountains. The castle itself is nicely restored, but it’s not one of those castle that is filled with exhibitions and royal things. There’s a penitentiary to visit, tower to climb for even more breathtaking views, a puppet theatre and some permanent exhibitions, as well as a guided tour called the ‘Time Machine’. 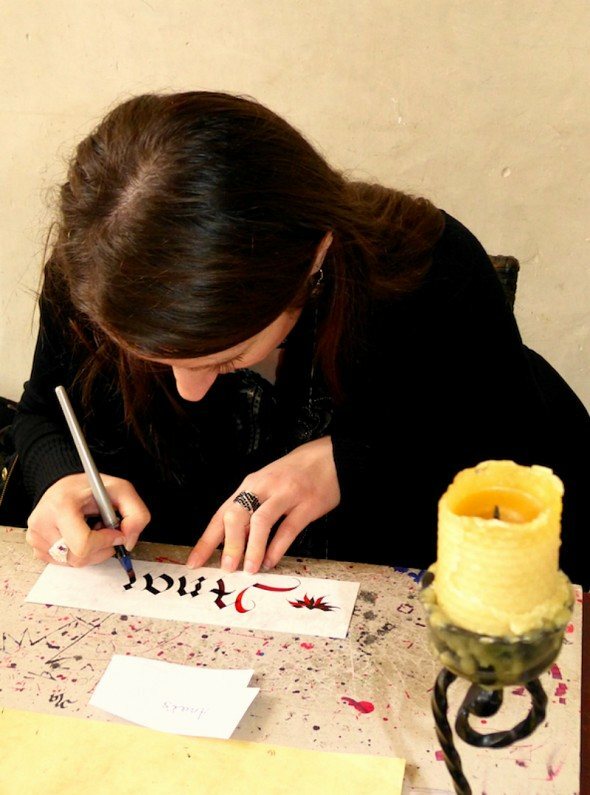 In the old chapel inside the church, you can meet a lovely young lady called Tanja, who’ll write your name with ink using old medieval lettering for free (I’d recommend tipping her though for this beautiful art work she’ll do for you). My kids loved their name tags and they look really pretty. 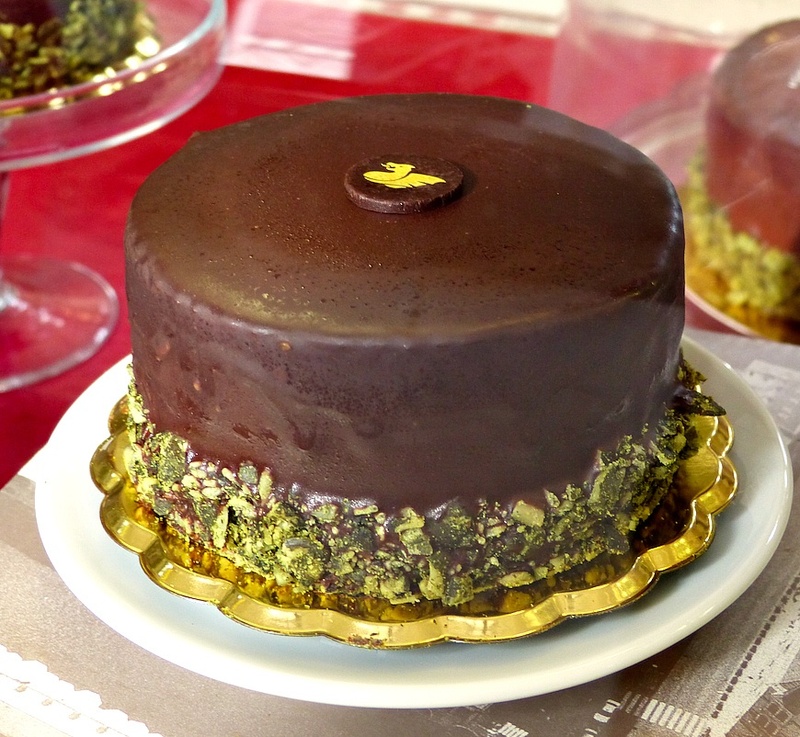 Ljubljana market is one of the attractions of the city: there’s the covered fish market by the river, with some amazing delicatessen upstairs offering chocolate-filled croissants, flaky apple strudels and local specialty: the Ljubljana cake (pictured above). Or you try the local fast-food, which looks like rolled crepes filled with different meats and vegetables. All so delicious! There are many bridges crossing the river: the famous pedestrian Triple Bridge, the Dragon Bridge, the new Butchers Bridge now filled with love locks parisian style, the list goes on. The are all different, beautiful and special – and so much fun for the children! 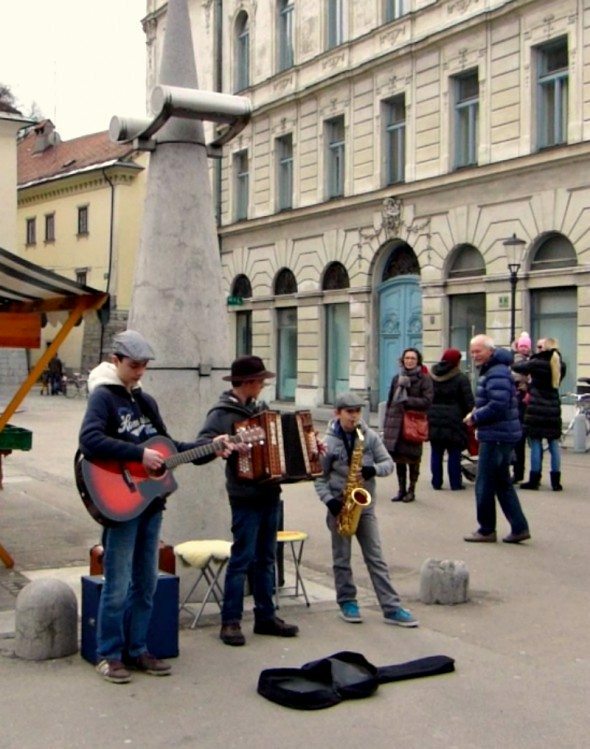 Add to the mix street artists (even in winter) and musicians and you get plenty of entertainment while exploring these 12 lovely bridges and zig-zagging from one side to the other. 5. Sporting around the City: Biking, hiking, skating, you name it! Ljubljana also has a city bike scheme like most European cities, and it’s really cheap in comparison to London for example. Biking is a great way to get to know this town better, and much safer than in many other places because of the large pedestrian zone and low traffic count in general. When travelling with children another good idea is to bring their scooters if you have a folding model or even roller-skates. My own children like walking, or rather skipping and running their way around while exploring their environment. You can also spot playgrounds and a in winter-time there is a pretty large outdoor ice rink with skate rentals also. Lots of options for exploring little streets, their architecture, hidden corner-shops and bakeries. And this kind of free exploration is the best way to get a feel for the authentic city life too! Disclosure: Our agenda was provided courtesy of Visit Ljubljana, Ljubljana Castle & Funicular and Captain. As always, all opinions expressed are my own. we also went to Lake Bled and had a lovely day there. Also the southern part and the coast is very charming. Ljubljana is truly a charming city, I also like the countryside of Slovenia specifically the village of Bled. It really has a nice Alpine setting with a lakes and mountain views! 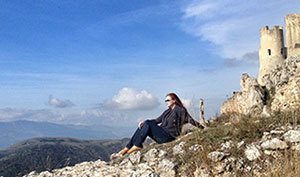 It is true that Slovenia is quite a gem of a destination!